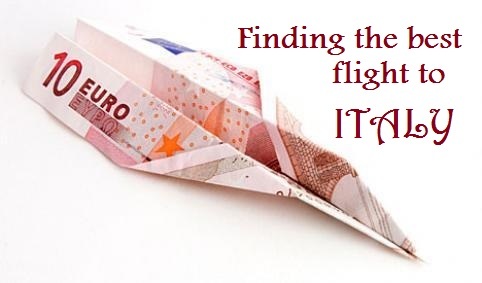 Still struggling to find the perfect flight to Italy or another location in Europe? We now offer bundled booking options to Italy and beyond that just might save you a chunk of change. Call 406-570-9393 or email andi@onceinalifetimetravel.com for a quote. Airline tickets. 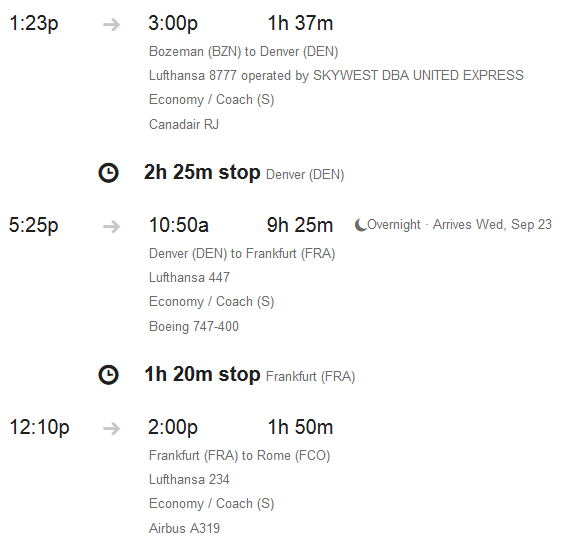 Hands down the most agonizing, frustrating and stress inducing piece of planning a trip to Italy. I wish I could lay out a specific formula that would guarantee the best rates for the perfect dates. Sadly, nothing like this exists. Not even close. What I can offer are my go to sites, some proven and researched facts, how to balance cost versus risk, and my two cents. This is a long post, stick with it to the end. I’ve got a strategy that can save you hundreds. 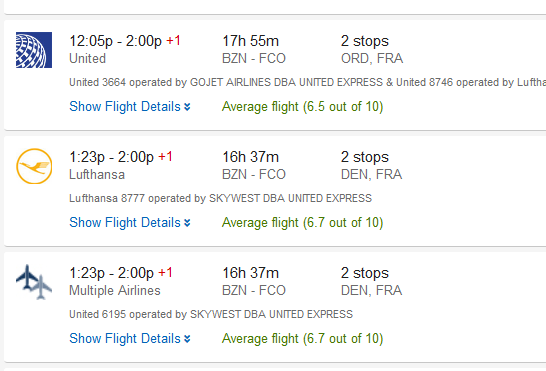 First, don’t become obsessed with finding the absolute cheapest fare. Your goal is to find a balance between a good price and optimal travel dates. It will do no good waiting endlessly for a fare price reduction as your favorite hotels book up their best and cheapest rooms. I would rather pay a few hundred dollars more for my plane ticket knowing that I was able to get into my first choice accommodation and build an itinerary that I want. Time is also money. The perfect itinerary is priceless. When I have my approximate dates I start by first doing a general search on a big site. My favorites are Skyscanner and Kayak. This gives me an idea of what is out there and what airlines are players. Then I go directly to the airlines’ websites to compare prices but even more importantly compare length of flights and layovers. 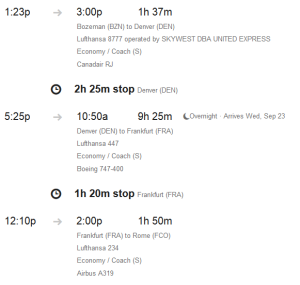 On my most recent search, I found a great price on my ideal dates….with a 34 hour return flight. No thanks. But when I went to the carrier’s direct site I found more options for approximately the same price. Another reason I like to buy direct from the carrier is the assistance that can be given for any issues that come up with missed flights or travel trouble. I have experienced the unfortunate frustration of trying to get help from a big search site with zero results. Connections. 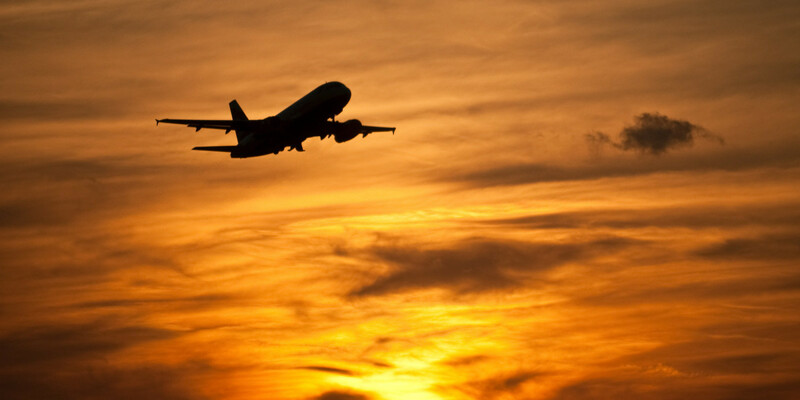 Those on the East Coast can board their planes with ease and enjoy direct flights to most locations. I will try to contain my jealousy. 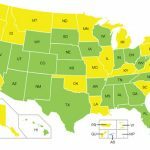 The rest of us have to worry about connections, and if you are like me and live in a rural area connections become a REALLY big deal. The key here is timing and location. Don’t be tempted by the siren’s call of a brief layover. That 45 minutes will cost you an entire travel day if missed. I make sure I have at least 90 minutes at my layovers. More if possible when flying into Heathrow in London where you also have to go through customs. My priority is getting to Europe as soon as I can. Delays within the States can cost me my flight across the ocean and the loss of a full day because those are more infrequent, whereas a delay in Europe isn’t the end of the world. Cookies. Be conscious of your searches. Don’t think the industry isn’t above making a little more money on your specific needs. I have witnessed first hand ‘sudden’ increases in prices on the same flights on repeat searches. Erase your cookies or use a different source when you are ready to purchase. Most of the experts report that tickets to Europe should be purchased between 5-10 months before departure. I personally like to book 8-10 months ahead. 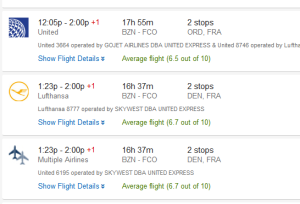 Regardless of HOW far ahead you book, there are certain times of the week you should purchase. 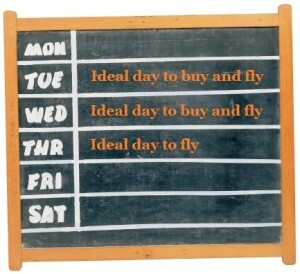 Research shows Tuesday and Wednesday as the best days to buy. I like Tuesdays. Insiders claim that in addition to this, you should avoid the first few days, the very middle days and the last days of the month. When looking at WHICH days of travel, try to fly on Tuesdays, Wednesdays and Thursdays. Be mindful of holidays in both countries. Our exciting update with this trick, we now have access to the below bundling saving trick. Call us at 406-570-9393 directly or email us for a quote, I have personally tested this out and the savings is real. My clients have enjoyed the best prices available anywhere. Another good trick is so simple that I initially thought there must be a catch. Get on the phone with a real live, flesh and blood representative at a major company like Expedia or Travelocity and now at Once in a Lifetime Travel. Imagine that. Talk to a person. Give them your dates and ask if there is any savings if you combine a hotel or rental car. If you know the hotel you want to stay in have the name handy and see if they can book you there. Get ready to watch the prices melt. If your ideal hotel is not an option or isn’t giving you much savings don’t worry. Ask them what is the bare bottom best price. Crazy as it may sound, you don’t have to stay in the hotel with the best combo deal. 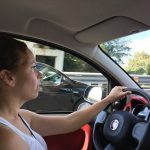 Verify with the agent, but generally you are not committed to the accommodation or the rental car. This seems silly, but you may save money by booking a hotel you will never set foot in. For example, a client and her family booked a package with flights and hotels (which were horribly located) saving a few hundred dollars per person than if she had booked online or through the airlines directly. I helped get her a great central hotel and everyone is happy. For anyone trying to use their reward points and miles, good luck. All airlines have black out dates and limited seats on each flight. I have heard that booking a year out is the best way to get the dates you want to fly. I have found a wonderful resource called Book My Award where all they deal with is rewards travel. They work nothing short of miracles here. Every website has the ability to sign up for travel alerts. I have several and I receive email notices when the fare drops or a special is posted. I find this is a handy way to keep track of any price trends. Good luck, take a deep breath and let me know what works for you!